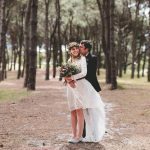 We eloped and wanted photos we could show our family and friends that captured our wedding. Susan not only captured our day perfectly, she captured the essence of our family. Suz not only takes brilliant photos, she has the rare gift of capturing the true essence of a ceremony. She did an amazing job in capturing all the emotions on our wedding day. 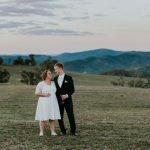 When we received the photos I realised I was grinning like a madwoman as I looked at each one and truly felt like I was happily reliving the day. My husband is over the moon with the photos as well. From the get go, Susan was an absolute professional, I knew I had nothing to worry about with her as our photographer. She is so lovely and listens to what her clients want. She makes the whole process enjoyable and honestly I knew she would just ’get it’ so i didn’t have to over explain anything or go all bridezilla on anyone! We highly recommend Suz to anyone out there looking for a talented photographer. Your enthusiasm, friendly nature and smile made us feel at ease. We felt very comfortable taking with you taking photos of us which turned out so beautifully. We received many comments in regards to how lovely you were with the guests at the wedding. Everyone that has seen the photos were amazed at how beautiful they are and how you managed to take photos of all the little details without being noticed. My greatest fear would have been that I am not really a photo person and therefore the photos would turn out looking fake but they were all so natural and beautiful. I would definitely recommend you to a friend. I would tell them how you helped through out the whole process to make sure that you understood what we wanted and not only did you capture us, the day and the guests beautifully but you are a gorgeous soul inside and out, which was noticed by everyone. 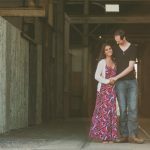 We had such a hard time finding a wedding photographer but when I met with Susan, we knew she was the photographer for us. She put us at ease straight away and put aside our fear of cameras. She has a relaxed, natural approach to photography which really helped in capturing moments as they were happening. She kept in contact regularly in the lead up to the wedding and that made us feel confident in her. On the day, she created such a fun and relaxing atmosphere that taking the formal shots was enjoyable instead of painful (which I what I thought it would be!). Everyone loves the photos! Thank you Susan for an amazing day and for capturing our special day in such a beautiful way. I couldn’t be happier – very highly recommended! Our greatest fear was that we’d wind up with a bunch of photos that didn’t truly capture the day as it happened, or that the photos would be awful since we’re not photogenic people. 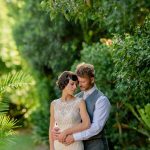 I would and have told friends that if they are looking for a photographer who believes in capturing moments as they happen, rather than structuring moments, that Suz is the perfect person. We loved how she put everyone at ease and had fun on the day. It helped to create genuine moments that were captured on film for us to look back on for years to come.